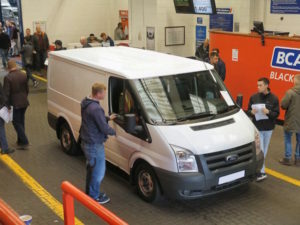 Fleet and lease LCV values at BCA continued to rise in April, reaching record levels for the second month running, as buyers competed both in-lane and online. Data for last month shows the 2018 Easter break had a minimal impact on trading levels and post-Easter values rose, where they have typically fallen in previous years. Values improved by 2.3% (£195) to reach £8,486. Retained value against MRP (Manufacturer Recommended Price) also increased, rising by one point to 40.5%. Average LCV values also continued to climb to record levels for the third month running, rising by 1.4% (£108) to reach £7,572. Year-on-year, values are up by 17.7% (£1,141), one of the biggest percentage uplifts ever recorded by BCA’s Pulse report. Both mileage and age continued to fall compared to a year ago.